The Atlantic Flyway Shorebird Initiative (AFSI) highlights predation as one of four primary anthropogenic threats to shorebird populations in the Atlantic Flyway, and highlights actions to be taken to address the threat. Increased coordination of predation management strategies and resources was highlighted in the AFSI implementation plan in order to maximize the effectiveness and efficiency of management programs for temperate breeding shorebirds across the Atlantic Flyway. Between 2016 and 2019 biologists from the Virginia Tech Shorebird Program (VT), the Nature Conservancy (TNC), USDA Wildlife Services, the U.S. Fish and Wildlife Service (USFWS), and Manomet Center for Conservation Sciences developed the Guidance and Best Practices for Coordinated Predation Management to Benefit Temperate Breeding Shorebirds in the Atlantic Flyway. Dozens of biologists and managers in the flyway contributed extensively to the document (including several of you!). The Guidance and Best Practices provides a synthesis of available guidance, tools, and resources needed to plan and implement predation management, set management goals, and evaluate success for AFSI priority beneficiary species. Efficient and effective predation management is species-, site-, and project-specific. Therefore, this document aims to provide users with a suite of potentially viable management options that have been developed and/or implemented elsewhere, and the associated details that will inform effective management decisions specific to unique sets of circumstances and constraints encountered at individual sites. Specifically, we provide details on 9 stepwise best practice topics along with a wealth of supplementary material for use in planning and implementing predation management. This project was funded by the National Fish and Wildlife Foundation with additional support provided by U.S. Fish and Wildlife Service, other federal and state agencies, NGOs, and universities. 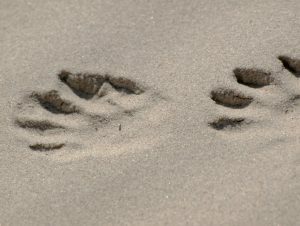 Guidance and Best Practices document (version 1.0) – Main document, serves a repository and guidebook for information related to all aspects of predation management activities. On pages 14-15 there is a useful explanation & diagram on navigating the document. Database of Interview Responses – A supplementary spreadsheet providing detailed lists of specific responses by 29 biologists and managers (representing the U.S. coastal Atlantic Flyway) to interview questions, which contributed to content throughout the guidance document. Permit Details by State and USDA contacts – A supplementary spreadsheet detailing permit requirements and appropriate APHIS contacts by state. Caveat: The Guidance and Best Practices is currently only available via the GoogleDrive site, and has seen limited release. 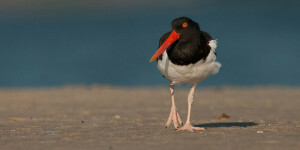 In the upcoming months, the document will be reformatted as a version 1.1 over and served on the Atlantic Flyway Shorebird Initiative (AFSI) website (https://atlanticflywayshorebirds.org/). Although the content in version 1.0 of the document is complete (after review by nearly 100 partners) we know that in order to be useful, the document must be revised and updated regularly. We intend to put some mechanisms in place to allow continued partner input including a website-based forum that users can post comments/suggestions to, and more extensive discussions held by the AFSI Predation Management subgroup (of the Habitat Working Group), which to date has not been very active. In the meantime, people can provide comments/questions/concerns during upcoming webinars, or to Sarah Karpanty and Caleb Spiegel via e-mail. The purpose of the webinar was to disseminate an overview of the recently completed “Guidance and Best Practices for Coordinated Predation Management to Benefit Temperate Breeding Shorebirds in the Atlantic Flyway.” Sarah Karpanty (VirginiaTech) provides ideas for how the overall document can be useful in the predation management planning and implementation processes. In addition, Jonathan Cohen (SUNY-ESF) discusses the development of a structured decision (SDM) making framework to address uncertainty in predator management, which is included in the guidance and best practices. The framework was developed during a 2017 prototype SDM workshop to more effectively implement predator management in Massachusetts and Maine. Lastly, we offer webinar participants time for Q&A, including specific questions about how the document may be useful to address specific management issues at your site.